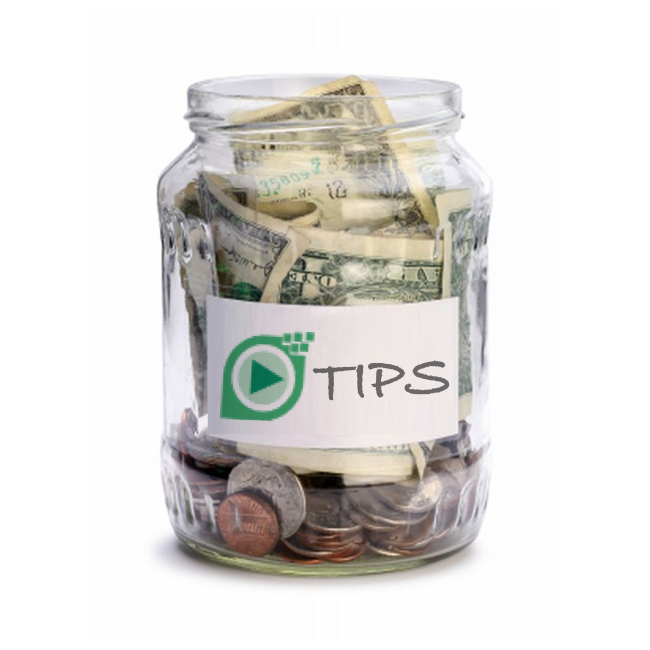 Add a tip jar to your blog or website. You run a good blog or website. Your visitors appreciate your content and the value you provide. 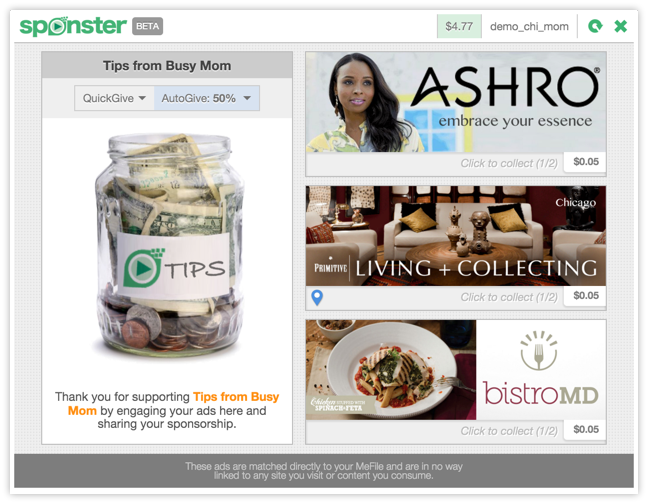 Give them an easy and fun way to show it by adding a Sponster Tip Jar to your blog. Sponster provides refreshing new way of looking at advertising and monetization. Respectful of you, your craft, and your readers. Your visitors bring their own personally-matched sponsors to your site. Each time they engage their ads (personally relevant), they are selling their attention (a valuable product) for small amounts of money (yes, real $!). When they engage their ads on your site, you also earn revenue from Sponster, along with any "tips" your visitors decide to leave by splitting their own proceeds with you. Your readers will love tipping you using someone else’s money. Give your visitors a fun and easy way to show their appreciation and support. YOUR READERS - AND YOU - ARE GOING TO LOVE THE SPONSTER TIP JAR! Sponster puts your visitors in complete control of the ad experience. They choose when (or if) they see Sponster ads. No need to force annoying ads upon them. The first ad solution that respects - no, requires - your visitors' privacy. No creepy tracking or cookies. They own and control their own consumer profile data in a MeFile™ account stored securely at YouData.com. Sponster is BYOA (bring your own ads). Each visitor has a custom ad experience as each sponsor is a personal match based on the visitor's own personal traits and interests (via his/her MeFile). Your readers earn revenue, and so do you! For each ad consumed on your site, Sponster splits some revenue directly with you, and your visitors can instantly and easily split their own attention proceeds with you as a tip. Finally, an advertising and monetization solution where everybody wins! Use this form to apply now. It's free! Log into your activated Sponster account at Qlarius.com. Find the "Tip Jars" tab in the Sponster section. Fill out some basic info about your site or blog. Email us at tipjars@sponster.me, and we can hook you up. Copy/paste the code onto your site. Upon approval of your site (after a quick review by Sponster), you will be given 3-5 lines of code to add to your blog or site. The Sponster widget fits nicely onto most sidebars. Let your readers know about Sponster and your new tip jar. As they sign up and start engaging ads, you start earning revenues. It's that simple!